Zavy Green is run by a married couple native to Colorado. We were both sick of having to scour the internet and dozens of stores to find products that we felt good about using for our family and pets. The natural, green, and organic worlds have always been part of our lives, and we have regularly had to research every product we used for ourselves and our children. Zavy Green is the culmination of our endless search for the best, healthiest, and most amazing products out there. In our past life, we were teachers but moved on so that we could spend more time with our two children. However, education is still very much at the heart of who we are. At Zavy Green, it is our mission to educate our customers about how they can make positive choices for themselves and their loved ones with each choice they make at the cash register. We are partnered with many other organizations who fit this ethos and want to bring healthy and happy living to all Coloradoans. You might be wondering if Zavy Green actually lives up to its own guidelines. The answer is yes we do! In addition to the choices we make about the products we bring in, we have many other practices that make us a "green" company. We are always searching for ways to make our store and lives more environmentally friendly. At Zavy Green, we recycle everything we can. All the boxes we receive, all the packaging we can, all the bottles and cans, all the paper we get in the mail or in deliveries is all recycled at the Boulder County Recycling Center. Although it is more work for us to recycle, we know that for the life of our Earth and our children recycling is the best choice for this waste. Our store is built on the premise that reusing is one of the best choices we can make when trying to rethink our impact on the Earth. It reduces demand for new raw materials, it creates less waste, and makes you be creative with what you have. Almost all of our shelving and materials are second-hand and antique. We decided to display our products on tables and shelves that gave new life to old furniture. We spent a lot of time at the Lafayette Flea Market searching for the right pieces to repurpose. We are very happy with the results! Zavy Green participates in the Wind Source program through Xcel Energy. It is important to support companies that use renewable energy to run their businesses. By supporting companies that participate in renewable energy, we are saying that the long-term effects of fossil-fuel use are not positive, and we must work to change our dependence. 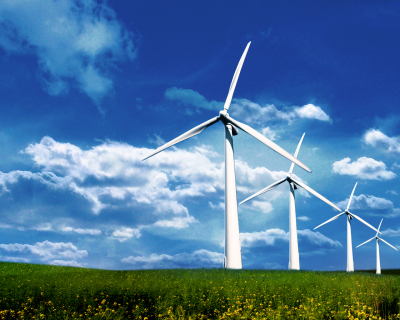 By paying extra to support the perpetuation of wind energy projects, we are positively impacting our energy future. 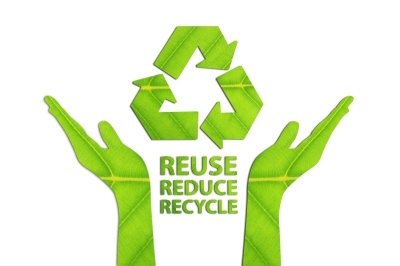 We work tirelessly to reduce the amount of waste we produce at Zavy Green. We pick up orders that we can locally so that the companies do not have to waste packaging materials. We use reusable plates and cups in our store when we have events. We do only print receipts when asked. We reuse gift cards once they have been redeemed. All of our bags, gift bags, tissue paper, and gift card envelopes are made from recycled materials. The two freezers we have in the store for frozen dog food and bones are Energy Star Certified so that they save on energy usage during their lives. We turn off all of our electronic devices when we are gone to reduce usage. Also, we limit our heating demand during the cold months and our cooling demand during the hot months. 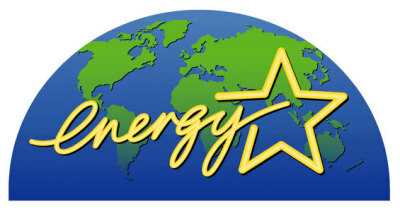 Saving energy is important to our Earth's continual health. Additionally, we use all the products we sell for cleaning. These products from Unique are Earth-friendly and biodegradable. Our hand soap is castile soap from Spinster Sisters. All of our bags, gift bags, tissue paper, and gift card envelopes are made from recycled materials. Finally, we reuse boxes for shipping and only source materials from Ecoenclose which makes recycled/recyclable and biodegradable materials.